Immigration authorities in the US have arrested a man with expired visitor’s visa following his conviction for trespassing at celebrity Kendall Jenner’s home. 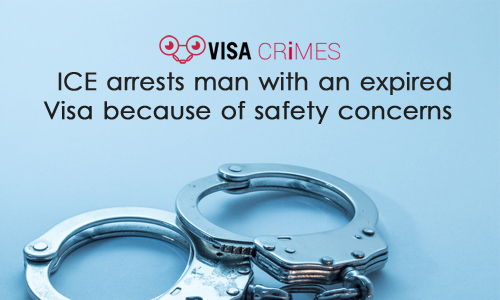 Late last week, U.S. Immigration and Customs Enforcement (ICE) announced the arrest of a Canadian man, John Ford, following concerns that his obsession could eventually result in a tragedy. ICE agents were tipped that the 38-year-old was in New Mexico and they swiftly swung into action thereby arresting Ford in the parking lot of an Albuquerque motel. Ford has been twice convicted for trespassing at the home of model Kendall Jenner, a Kardashian family member before his latest arrest by ICE. According to immigration authorities, Ford is with an expired visitor’s visa and will remain in federal custody in El Paso, Texas, as he awaits hearing regarding his immigration case. In the past year, Ford was arrested twice by Los Angeles police which led to convictions and jail time for him. In the latest twist, Ford was found in Jenner’s pool and immigration agents had to move in quickly before Ford’s obsessive behavior would end up in an ugly tragedy according to the special agent in charge of El Paso’s Homeland Security Investigations – Jack P. Staton. The effort of Los Angeles police and immigration authorities has been praised by the celebrity’s family who explained that Ford’s behavior caused both the family and Jenner serious problems. They said the family’s sense of security took a batter as a result of the obsessive behavior. John Ford came into the US about a year ago on a visitor’s visa that expired six months ago, according to immigration records.